OUR PRICE: $9.50 - Join Rewards Get $1 Dance Dollars On This Item! 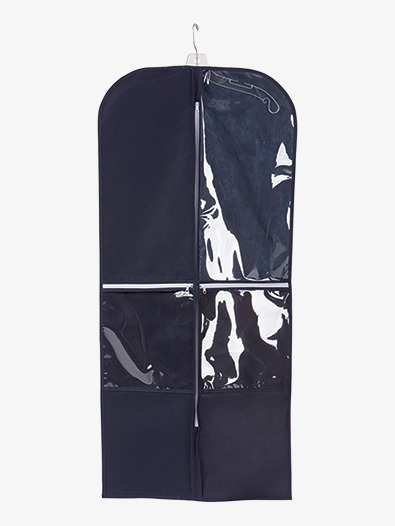 Keep your costumes and performance ensembles in tip-top shape with the Theatricals Zippered Garment bag! Breathable fabric prevents garments from damage, while clear plastic zippered pockets provide durable storage for accessories and other small items. 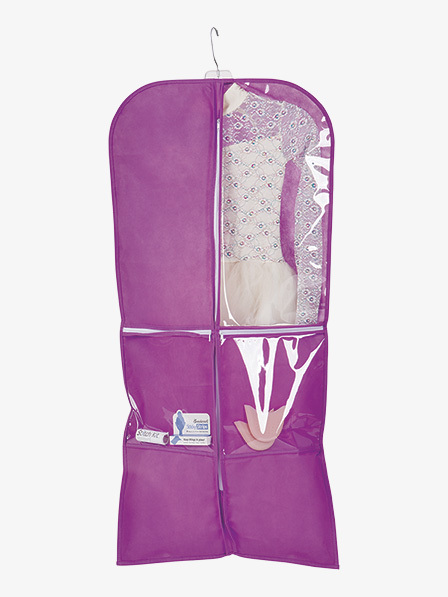 Bag features a zippered front and a top opening for hangers. Great for storing and coordinating group or individual costumes! great for our costumes, storage pockets for accessories, can easily see what costume is in the bag. love these! How many pockets does this have? Are the pockets only on the front? This has 2 clear pockets. How many garments on hangers can it hold? Bag features a zippered front and a top opening for hangers. 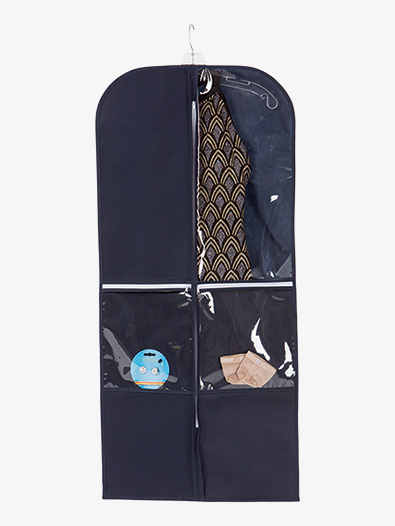 Great for storing and coordinating group or individual costumes!